New and improved landmark general reference Bible. 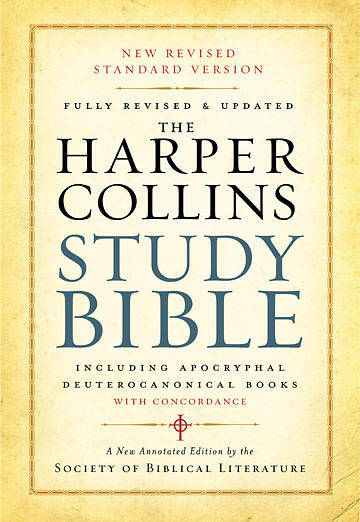 The landmark general reference Bible that offers the full text of the New Revised Standard Version, now completely revised and updated by leading biblical scholars, including, new introductions and notes, diagrams, charts and maps--25% revised or new material. - The fundamental strengths of the first HCSB remain . . .
- But, in this new revised edition . . .
More references to ancient non-Biblical sources which seem to parallel books in the Bible like the Gnostic gospels uncovered in Egypt or the famous scrolls found near the Dead Sea in Israel.